From eight goal thrillers, to on-field team talks, football has served up a feast of fascinating St. Stephen’s Day encounters. 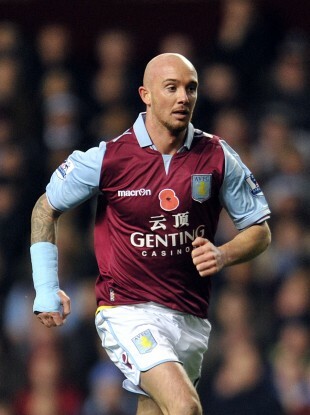 Stephen Ireland doesn't actually feature in our St. Stephen's Day list but he is called Stephen and that's good enough for us. DEPSITE REPEATED CALLS for a winter break, St. Stephen’s Day football has become a fixture in this part of Europe and it would be a shame if football fans, worn out by Christmas Day excess, didn’t have some games to relax in front of the following day. These are our most memorable St. Stephen’s Day games, but what are yours? The Fulham score really was 10-1, that’s not a typo. When Liverpool won the 1981-82 First Division title it was, perhaps, Bob Paisley’s sweetest championship victory as most pundits had written the Reds off after an abject display in a 3-1 St. Stephen’s Day defeat to Manchester City at Anfield. The game will be remembered for the fate of the two goalkeepers. Liverpool’s new signing Bruce Grobbelaar had a nightmare while, at the other end, Joe Corrigan was knocked unconscious by a bottle thrown from the Kop. That Liverpool went on to win the title after such a poor result, speaks volumes for the team’s desire that year. Manchester United paid a Christmas visit to neighbours, Oldham Athletic on December 26, 1991. Denis Irwin, signed from Oldham only a year earlier, scored two against his former club. Brian McClair, leading goal scorer for United that season, also beat the keeper twice while Ryan Giggs and Andrei Kanchelskis scored one each to turn this St. Stephen’s Day fixture into something of a rout. You have to stick with this video for about 90 seconds to see where the problem arises but, during Linfield’s 3-0 win over Glentoran in 1995, the orange ball they had been using burst. Now, you’d image they would have a replacement ball but they didn’t and it’s like they’re playing with an invisible football for the rest of the game. Did you know that during the 2005-2006 Premier League season, 25% of clubs had an Irish captain. Can you guess who they were? There are no prizes or anything, but you might as well give it a go. Recently promoted Wigan put on their best display of the season on St. Stephen’s day when they held on for a win against pre-money Manchester City despite repeated fight backs from the Blues and significantly reduced fingernails for Wigan supporters. In the early kick off, Chelsea and Aston Villa shared eight goals, three red cards and two penalties. Shaun Maloney scored twice early on to stun the Stamford Bridge crowd into silence before the game turned after Zat Knight was sent off for conceding a penalty that Andriy Shevchenko converted. The match ebbed and flowed before Michael Ballack scored a free-kick in the 88th minute to seemingly secure the win. However, Villa had one last trick up their sleeve. Hull City’s first season in the premier league was mixed to say the least. The early part of the season saw the team secure wins at both Arsenal and Spurs and, at one point, Phil Brown’s men were sitting in the European places. However, the second half of the season was disappointing and, in the end, Hull just staved off relegation. What caused the downturn in form remains a mystery but many put it down to St. Stephen’s Day 2008 when, 4-0 down at half-time to Manchester City, Brown decided to give his team talk on the pitch. Hull lost 5-1. Email “The Magnificent 7: St. Stephen’s Day crackers”. Feedback on “The Magnificent 7: St. Stephen’s Day crackers”.